Robin Hood Watersports a family run business established way back in 1981. It all started from humble beginnings in our garage at home, to a 2 storey purpose built 5000sq ft showroom with indoor heated swimming pool on site. The on site pool means we are extremely flexible on times for Scuba reviews, and are constantly teaching many other PADI courses (PADI 5 Star IDC centre) from Seal time through to IDCs. We have a wide range of 22 different sizes of ladies and gents equipment available to hire including drysuits. 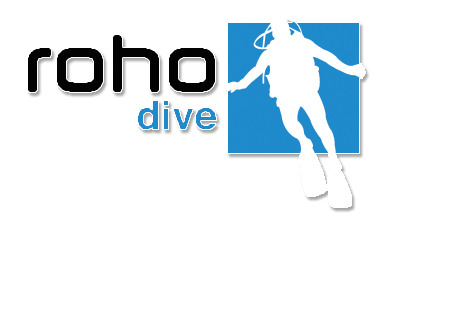 Robin Hood Watersports (RHWS) is also the home of the world renowned ROHo drysuit, we produce a range of off the peg suits a well as bespoke made to measure drysuits and undersuits, in various sizes, shapes and colours for the Sport Diving market as well as for the Emergency Services. ie. Fire Service and rescue organizations. And offer a comprehensive range of repairs to all other makes of suit, all on site. Not only do we manufacture our own range of drysuits on site but also supply a massive range of all the leading brands of diving equipment - Aqualung, Apeks, Scubapro, Mares, Fourth Element, Hollis, Oceanic, Lavacore etc; with staff that dive in all the different equipment, who are able to advise on the features and fit. We also have a full time technician on site for all your servicing needs including regulator servicing, cylinder testing, bcd service, computer batteries etc for all of the major brands, as well as 2 compressors, filling cylinders to 300 bar. We run a really varied range of UK and overseas trips ranging from diving with the seals in the Farne Islands for a weekend at £109, or winter diving in Lanzarote, or Sharm with Camel in the summer, liveaboards in Egypt and the Maldives, Shark diving in South Africa and a safari, Malta technical diving, Mexico and the Cenotes, just to name a few. The trips are always instructor led, so there is someone there to lend a hand if needed, and a real group atmosphere for any divers travelling alone. If thats not enough on the diving side, we also stock a huge amount of windsurfing, canoeing, kite surfing, and snowboarding equipment on site with staff to advise and help. Currently all our holidays are full and we are getting our new schedule ready please check back soon for an update. We would be more than happy to help you. Our travel advisors are at your service to help you. Tour Operator of the Year 12 times - Voted by you! See our latest Newsletter here To Subscribe to this mailing and receive future emails, fill out the form below and click Submit. ABTOT provides protection for your booking as set out in section 21 Financial Security, of our booking conditions. Scuba Travel has been arranging award winning holidays for over 20 years. Winning tour operator of the year no less than 11 times. Our experienced team are committed to crafting memorable diving holidays around the globe. World class diving is just a phone call away.